Hymie Fagan was a British Communist, who had devoted himself to the political doctrine of communism from the age of twenty-five. He was inspired by the twelve communists who where tried at the Old Bailey in 1926 for sedition and incitement to mutiny, which also included Harry Pollitt, the General Secretary of the party. Pollitt was one of the most influential figures in Fagan’s life. Fagan worked side by side with Pollitt, to ensure the Communist party would become closely aligned to the Labour Movement, believing communism to be an integral part to Labour and the working-classes. The political landscape that Fagan writes about in his memoir covers an array of events beginning from 1928. As a full-time worker for the Communist party, Fagan was fully engaged with the political situation during the emergence of new ideologies such as Fascism, Trotskyism and Bolshevism. Politics is a key theme throughout Fagan’s memoir, and I would argue the most prominent given he devoted forty years of his life contributing to party activities and protests. During his first apprenticeship at a tailoring factory, Fagan developed his political stance. He was introduced to the terms, ‘trade unionism’ and ‘socialism’, where he came to understand the importance of the working-class male. Fagan’s identity as a working-class author and his political views are revealed through the types of authors and literature he read prior to his political career and work. 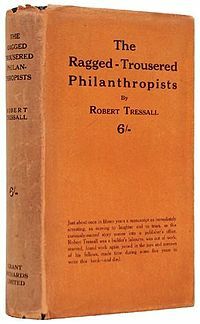 The explicitly political novel of Robert Tressell’s, The Ragged-Trousered Philanthropists was one of the first works Fagan read on working-class literature. He describes the experience as elevating, stating, “It was something which had never been done…before” (46). 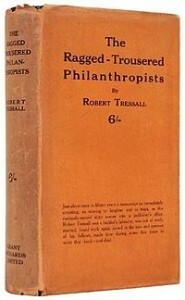 The book was grounded in socialist principles and heavily criticised the capitalist system, which Fagan also expresses throughout his memoir. Fagan, “grew closer to the Labour Movement” (53) during his time at the factory. Yet, it is no wonder he moved to the Communist party. Fagan’s understanding of class was shaped by many influential and political figures. Their writings on the working-classes had either promoted revolution or Marxism, as the answer to the historical problem of class. Fagan was hooked by their literature, he was “enthralled” (60) by John Reed’s, Ten Days That Shook The World and became “a proud possessor” (60) of the Marxist classic, Anti-Durhing written by Friedrich Engles. Fagan was a Bolshevik, despite it having “shades of Czarist Russia” (65). In the beginning, Fagan’s work for the Communist party consisted of running the party bookshop. 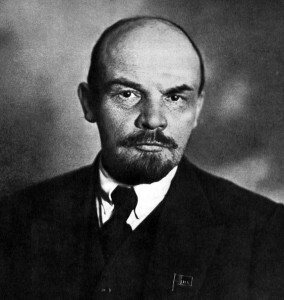 He was then able to attend one session at the Communist International organisation, known as the Comintern, founded by Vladimir Lenin in 1919. Fagan’s political views were also shaped by his attendance at the Lenin School in Moscow. Here, he studied, “Marxist economics, dialectic materialism, philosophy, the history of the British Labour Movement, the history of the Russian working class, the history of the RSDLP (Bolshevik) and other such subjects, including the history of the Russian revolution” (79). Fagan’s education at the Lenin School was much more suited to his interests and ability. Yet, it was not just a cultural and historical enjoyment. Fagan also had the duty to comment upon the situation of the British people at the factories and collective farms in the Soviet Union. When Fagan returned from the Soviet Union, Britain was undergoing serious political turmoil. With the crisis of the golden standard, demonstrations occurred across the nation over unemployment and salary issues, which Fagan informs, “It had long forecast revolutionary period, and here it was starting in Britain of all places” (90). This led Fagan to become involved with the Worker’s Charter Movement. Fagan set up a committee and helped mobilise demonstrations, reviving the “great Chartist Movement of the 19th century” (91). E.P Thompson conceptualised class by arguing that it was a “social and cultural formation” (Kirk 7). For Fagan and the members of the Charter movement it gave them the “disposition to behave as a class” (Kirk 7) as they shared the same interests. It relied heavily on the unionisation of workers and its demonstrations were dynamic and full of vigour. Fight for the Worker’s Charter. You won’t be beaten down for ever. Fagan’s main role when working for the Communist party was based on electoral work. In order to promote the party, Fagan created grassroots among different constituencies. The party abandoned its ‘class against class’ policy in 1935, and focused on working with the Labour movement. The priority of the parties became the fight against fascism, Fagan says, “The rise and successes of fascism had alarmed us all and we were working hard to unite the broad Labour Movement in the face of this peril” (95). The battle against fascism was not only in the hands of British politicians, it also became the duty of the Army. In 1941, Fagan left the political scene of Britain to join the Armed forces. In his memoir, Fagan’s tone is very patriotic when discussing the topic of fascism, “we wanted to see the final defeat and liquidation of fascism and would do everything in our power to see this aim achieved” (103b). Fagan became a nationalist as his, “interest grew in what sort of government would rule Britain” (126) after the war. Fagan continued to progress in the party from 1945 onwards. He was asked by Pollitt to take on the job as the National Election Agent for the upcoming general election. Fagan was enthusiastic about this role, and if anything, his time spent away from politics only strengthened his ambitions to continue to work for the party. At the height of the cold war, Fagan worked with delegates in the Soviet Union given he was the general secretary of the British-Soviet friendship. He then went on to work for the World Marxist Review writing about “matters appertaining to Social-democracy” (148). Anti-soviet feeling was growing among Britons and democracy was increasing, with the Labour government “backed by a huge majority” (135). For Fagan he had always been strongly supportive of the Soviet Union, but in 1968 he felt all his political work was undone, “the Soviet invasion of Czechoslovakia sickened me” (153) and he left working for the journal. Fagan left his career in politics feeling disappointed and betrayed, “I felt sore over Czechoslovakia and other things, so I went” (154). Kirk, John, Class, Culture and Social Change: On the Trail of the Working Class. Basingstoke: Palgrave Macmillan, 2007 (Introduction), 1-12.